L.A. Weekly (January 30, 2019) Last week saw us cover the perils of being an analytical laboratory in California’s year-old legal cannabis market, but labs certainly weren’t the only ones facing the challenges of the state’s new standards for clean cannabis. 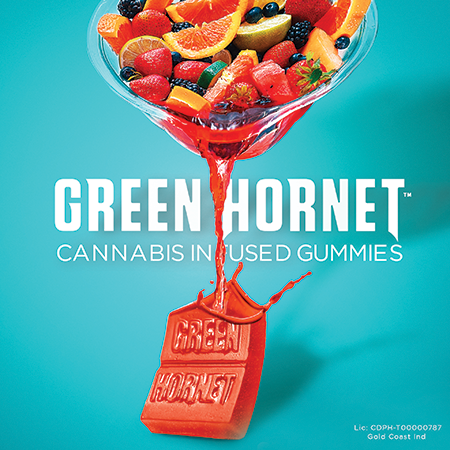 Previously, when cannabis was sold, growers would throw it in a bag and take it straight to the dispensary. Now it has to be prepackaged, then tested, and quarantined while it’s tested. The most major action took place when Sequoia Analytics Lab lost its business license after a lab director falsified pesticide reports. Twenty-nine companies were swept up in the recall and forced to pay to retest their products. Green Camp (January 29, 2019) Around this time last year, residents of California were celebrating legalization of recreational cannabis by lighting up on the streets. Processors and retailers were given time to move towards legally produced cannabis by summer and at one point a huge glut of cheap illegal cannabis was sold for $1 per gram. Currently, the retailers pay a 15% excise tax, while growers pay $9.25 per dry-weight ounce of cannabis flower and $2.75 per dry-weight ounce of cannabis leaves. San Francisco Chronicle (January 30, 2019) Cannabis job openings for white-collar workers from the public sector and established industries, are on the rise, a new report from company ratings site Glassdoor suggests. San Francisco was the No. 1 metropolitan area hiring for cannabis-related jobs last month. And postings nationwide were up 76 percent compared to the same month in 2017. San Fransisco CBS Local (January 29, 2019) The University of California at Berkeley has launched the Cannabis Research Center that will explore the impacts of cannabis production on the environment and society, UC officials said Tuesday. The center will focus on three distinct areas of research as they relate to cannabis production: policy and regulation, environmental impacts, and cannabis-producing communities. Santa Ynez Valley News (January 29, 2019) A hearing on options for amending cannabis ordinances brought dozens of residents to the Santa Barbara County Board of Supervisors meeting Tuesday to complain about the same issues they’ve raised at every hearing for more than a year. Only a small percentage of the 70 people who signed up to speak addressed the amendment options presented by the staff. Residents claimed the regulations had been thrown together without public input or considering the opinions of experts and that permits and licenses are being handed out free with no investigation of the statements made by applicants. KEYT (January 30, 2019) San Luis Obispo County continues to see requests for permits to grow and sell legal marijuana with two new locations in Nipomo and rural Arroyo Grande. An L.A.-area company is seeking a county permit for nearly three acres of outdoor cannabis cultivation and 22,000 square feet of indoor cannabis cultivation at a greenhouse nursery along Eucalyptus Road in Nipomo. As local jurisdictions continue to grapple with regulating the growing cannabis industry, impacts of pot farms in communities, including odor, remain an issue even for those who support legalization. San Francisco Examiner (January 29, 2019) Parades, concerts, festivals and other events in San Francisco could soon apply for city permits to have legal cannabis sales and consumption, under legislation introduced Tuesday by Supervisor Rafael Mandelman. The proposal would implement Assembly Bill 2020, which went into effect on Jan. 1 and allows cities throughout California to issue cannabis permits for temporary events. Events would need both a state license and a local license. 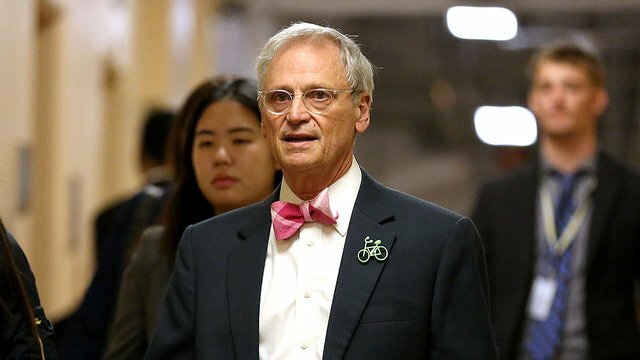 The Hill (January 29, 2019) Rep. Earl Blumenauer (D-Ore.), a leading voice behind pro-cannabis legislation, said on Tuesday that the record-long partial government shutdown hurt the push for marijuana policy reform. “We really did just get knocked back on our heels in terms of having this insanity where we lost six weeks or more,” the congressman said at a briefing on cannabis and the economy hosted by research group New Frontier Data and the Liaison Group, a lobbying firm. Blumenauer noted, though, that Democratic leadership does not consider cannabis reform a top priority this Congress. News Times (January 29, 2019) Difficulty accessing typical business banking services has plagued the cannabis industry since its inception. While cannabis remains a largely a cash-based industry in some states, numerous companies have managed to tactfully operate around financial obstacles with some success. The main concern banks face is that because marijuana remains on Schedule 1 of the Controlled Substances Act, accepting deposits from cannabis businesses that actually handle the plant can be deemed money laundering. Under federal law, money obtained from illegal transactions cannot be FDIC insured, and banks are required to insure all their depository accounts. CNBC (January 30, 2019) A non-psychoactive cannabis compound more commonly known as CBD is “poised to flourish” thanks to the 2018 Farm Bill, signed into law by President Donald Trump. Despite the passing of the Farm Bill, legal ambiguities have remained as the U.S. Food and Drug Administration (FDA) has maintained its stance that it is unlawful to sell CBD as a dietary supplement. Cannacord’s North American equity research team said despite this confusion it had noted products already being sold through Safeway in some U.S. states and that other retailers would likely follow this year. Cannabis Business Times (January 28, 2019) Although big business will likely be a large part of the cannabis industry’s future, smaller craft companies still have room for success in providing niche markets and product diversification. As more states come online for recreational and the move toward interstate commerce becomes a reality, there will be significantly more consolidation. We believe that we will see the market consolidate in a significant way in the next one to five years, but there will remain the small business mindset, as the small business employees still hold the knowledge and experience.